Over 2,000 years ago, our ancestors, trekking across vast steppes and deserts, opened the transcontinental passage connecting Asia, Europe and Africa, known today as the Silk Road. Our ancestors, navigating rough seas, created sea routes linking the East with the West, namely, the maritime Silk Road. These ancient silk routes opened windows of friendly engagement among nations, adding a splendid chapter to the history of human progress. The thousand-year-old “gilt bronze silkworm” displayed at China’s Shaanxi History Museum and the Belitung shipwreck discovered in Indonesia bear witness to this exciting period of history. — Peace and cooperation. In China’s Han Dynasty around 140 B.C., Zhang Qian, a royal emissary, left Chang’an, capital of the Han Dynasty. He traveled westward on a mission of peace and opened an overland route linking the East and the West, a daring undertaking which came to be known as Zhang Qian’s journey to the Western regions. Centuries later, in the years of Tang, Song and Yuan Dynasties, such silk routes, both over land and at sea, boomed. Great adventurers, including Du Huan of China, Marco Polo of Italy and ibn Batutah of Morocco, left their footprints along these ancient routes. In the early 15th century, Zheng He, the famous Chinese navigator in the Ming Dynasty, made seven voyages to the Western Seas, a feat which still is remembered today. These pioneers won their place in history not as conquerors with warships, guns or swords. Rather, they are remembered as friendly emissaries leading camel caravans and sailing treasure-loaded ships. Generation after generation, the silk routes travelers have built a bridge for peace and East-West cooperation. — Mutual learning. The ancient silk routes were not for trade only, they boosted flow of knowledge as well. Through these routes, Chinese silk, porcelain, lacquerwork and ironware were shipped to the West, while pepper, flax, spices, grape and pomegranate entered China. Through these routes, Buddhism, Islam and Arab astronomy, calendar and medicine found their way to China, while China’s four great inventions and silkworm breeding spread to other parts of the world. More importantly, the exchange of goods and know-how spurred new ideas. For example, Buddhism originated in India, blossomed in China and was enriched in Southeast Asia. Confucianism, which was born in China, gained appreciation by European thinkers such as Leibniz and Voltaire. Herein lies the appeal of mutual learning. — Mutual benefit. The ancient silk routes witnessed the bustling scenes of visits and trade over land and ships calling at ports. Along these major arteries of interaction, capital, technology and people flowed freely, and goods, resources and benefits were widely shared. The ancient prosperous cities of Alma-Ata, Samarkand and Chang’an and ports of Sur and Guangzhou thrived, so did the Roman Empire as well as Parthia and Kushan Kingdoms. 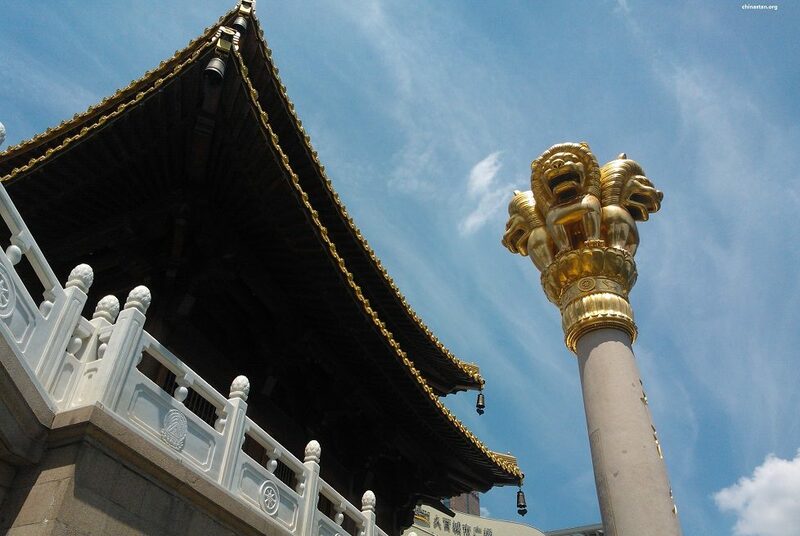 The Han and Tang Dynasties of China entered the golden age. The ancient silk routes brought prosperity to these regions and boosted their development. In the autumn of 2013, respectively in Kazakhstan and Indonesia, I proposed the building of the Silk Road Economic Belt and the 21st Century Maritime Silk Road, which I call the Belt and Road Initiative. As a Chinese saying goes, “Peaches and plums do not speak, but they are so attractive that a path is formed below the trees.” Four years on, over 100 countries and international organizations have supported and got involved in this initiative. Important resolutions passed by the UN General Assembly and Security Council contain reference to it. Thanks to our efforts, the vision of the Belt and Road Initiative is becoming a reality and bearing rich fruit. — These four years have seen deepened policy connectivity. I have said on many occasions that the pursuit of the Belt and Road Initiative is not meant to reinvent the wheel. Rather, it aims to complement the development strategies of countries involved by leveraging their comparative strengths. We have enhanced coordination with the policy initiatives of relevant countries, such as the Eurasian Economic Union of Russia, the Master Plan on ASEAN Connectivity, the Bright Road initiative of Kazakhstan, the Middle Corridor initiative of Turkey, the Development Road initiative of Mongolia, the Two Corridors, One Economic Circle initiative of Viet Nam, the Northern Powerhouse initiative of the UK and the Amber Road initiative of Poland. We are also promoting complementarity between China’s development plan and those of Laos, Cambodia, Myanmar, Hungary and other countries. China has signed cooperation agreements with over 40 countries and international organizations and carried out framework cooperation on production capacity with more than 30 countries. During the forum, a number of cooperation agreements on policy connectivity and action plans will be signed. We will also launch Belt and Road cooperation initiative on trade connectivity together with some 60 countries and international organizations. Such policy connectivity will produce a multiplying effect on cooperation among the parties involved. — These four years have seen increased trade connectivity. China has worked with other countries involved in the Belt and Road Initiative to promote trade and investment facilitation and improve business environment. I was told that for Kazakhstan and other Central Asian countries alone, customs clearance time for agricultural produce exporting to China is cut by 90%. Total trade between China and other Belt and Road countries in 2014-2016 has exceeded US$3 trillion, and China’s investment in these countries has surpassed US$50 billion. Chinese companies have set up 56 economic cooperation zones in over 20 countries, generating some US$1.1 billion of tax revenue and 180,000 jobs for them. — These four years have seen strengthened people-to-people connectivity. Friendship, which derives from close contact between the people, holds the key to sound state-to-state relations. Guided by the Silk Road spirit, we the Belt and Road Initiative participating countries have pulled our efforts to build the educational Silk Road and the health Silk Road, and carried out cooperation in science, education, culture, health and people-to-people exchange. Such cooperation has helped lay a solid popular and social foundation for pursuing the Belt and Road Initiative. Every year, the Chinese government provides 10,000 government scholarships to the relevant countries. China’s local governments have also set up special Silk Road scholarships to encourage international cultural and educational exchanges. Projects of people-to-people cooperation such as Silk Road culture year, tourism year, art festival, film and TV project, seminar and think tank dialogue are flourishing. These interactions have brought our people increasingly closer. 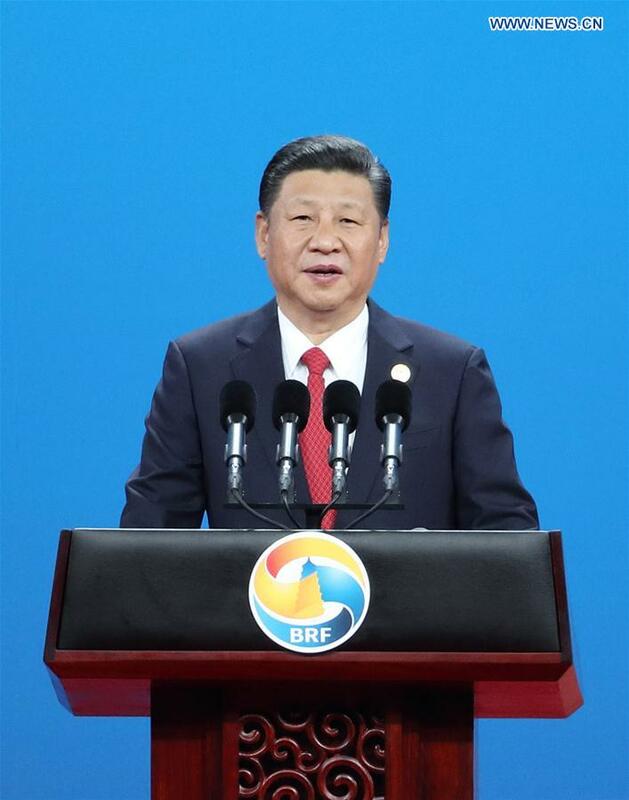 These fruitful outcomes show that the Belt and Road Initiative responds to the trend of the times, conforms to the law of development, and meets the people’s interests. It surely has broad prospects. First, we should build the Belt and Road into a road for peace. The ancient silk routes thrived in times of peace, but lost vigor in times of war. The pursuit of the Belt and Road Initiative requires a peaceful and stable environment. We should foster a new type of international relations featuring win-win cooperation; and we should forge partnerships of dialogue with no confrontation and of friendship rather than alliance. All countries should respect each other’s sovereignty, dignity and territorial integrity, each other’s development paths and social systems, and each other’s core interests and major concerns. — China will enhance friendship and cooperation with all countries involved in the Belt and Road Initiative on the basis of the Five Principles of Peaceful Co-existence. We are ready to share practices of development with other countries, but we have no intention to interfere in other countries’ internal affairs, export our own social system and model of development, or impose our own will on others. In pursuing the Belt and Road Initiative, we will not resort to outdated geopolitical maneuvering. What we hope to achieve is a new model of win-win cooperation. We have no intention to form a small group detrimental to stability, what we hope to create is a big family of harmonious co-existence. — In the coming three years, China will provide assistance worth RMB 60 billion to developing countries and international organizations participating in the Belt and Road Initiative to launch more projects to improve people’s well-being. We will provide emergency food aid worth RMB 2 billion to developing countries along the Belt and Road and make an additional contribution of US$1 billion to the Assistance Fund for South-South Cooperation. China will launch 100 “happy home” projects, 100 poverty alleviation projects and 100 health care and rehabilitation projects in countries along the Belt and Road. China will provide relevant international organizations with US$1 billion to implement cooperation projects that will benefit the countries along the Belt and Road. — China will put in place the following mechanisms to boost Belt and Road cooperation: a liaison office for the Forum’s follow-up activities, the Research Center for the Belt and Road Financial and Economic Development, the Facilitating Center for Building the Belt and Road, the Multilateral Development Financial Cooperation Center in cooperation with multilateral development banks, and an IMF-China Capacity Building Center. We will also develop a network for cooperation among the NGOs in countries along the Belt and Road as well as new people-to-people exchange platforms such as a Belt and Road news alliance and a music education alliance. An ancient Chinese saying goes, “A long journey can be covered only by taking one step at a time”. Similarly, there is an Arab proverb which says that the Pyramid was built by piling one stone on another. In Europe, there is also the saying that “Rome wasn’t built in a day.” The Belt and Road Initiative is a great undertaking which requires dedicated efforts. Let us pursue this initiative step by step and deliver outcome one by one. By doing so, we will bring true benefit to both the world and all our people!